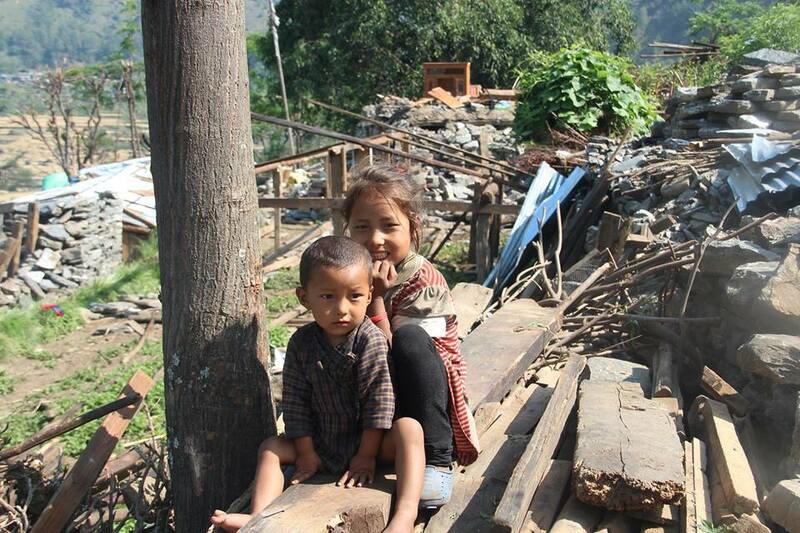 It has been a busy couple of weeks for MondoChallenge Foundation and our partner organisation, HELP, on the ground in Nepal. This was a chance for the team to consolidate the work they have been doing in the past month, building on successes in providing immediate disaster relief as well as starting to turn towards the next phase of our recovery plan. In terms of relief work, we have continued to distribute shelter kits and solar cells in preparation for the fast approaching monsoon. 100’s of shelter kits were distributed to the 8 wards of Botenamlang VDC, a diverse area that has a range of ethnicities from Tamang to Newars to Dalits. 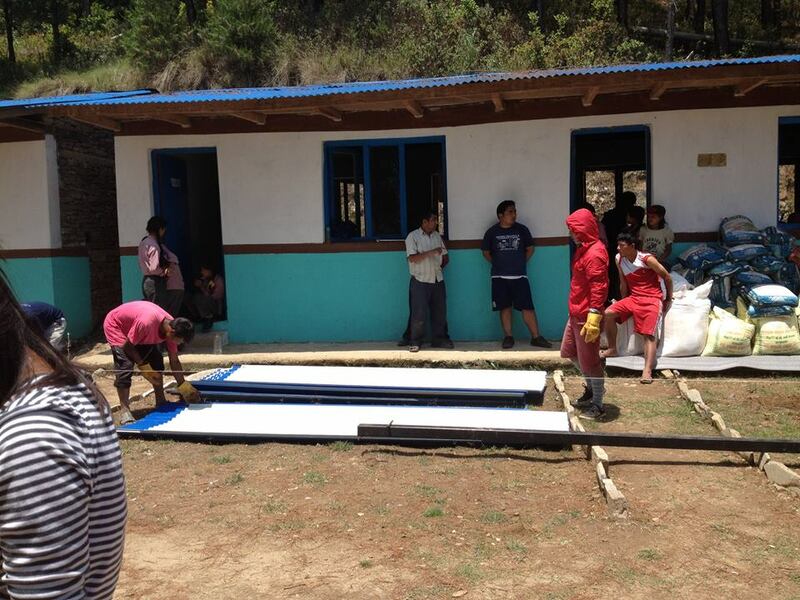 Whilst in the area, the HELP team also arranged for 3 solar panels to be installed at Bhotenamlang School, Gurung Gao and Kaphle. 100’s more shelter kits were distributed to all of the 9 wards of Gunsa VDC, with a further 3 solar panels being installed to provide access to power for light and communication. Along with the other villages our team has reached during this time, we estimate that we have successfully supported over 2000 families with our recent efforts, both in terms of shelter and food supplies. 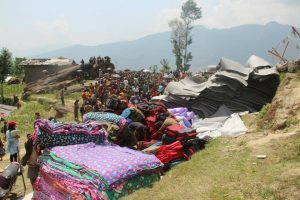 Although the situation in the valley and surrounds is still difficult, and we are continuing our relief efforts, our thoughts have also turned to providing classrooms and facilities for students to resume their education. Given our involvement in the region first started with the aim of capacity building in education, we are uniquely equipped to handle such activities. Indeed, we have been working on the ground with the Department of Education and have responsibilities to building Temporary Leaning Centres and provide other necessary support for 40 schools in 6 Village Development Committee areas (Kiul, Helambu, Ichowk, Gunsa, Sidhuot and Gumba). 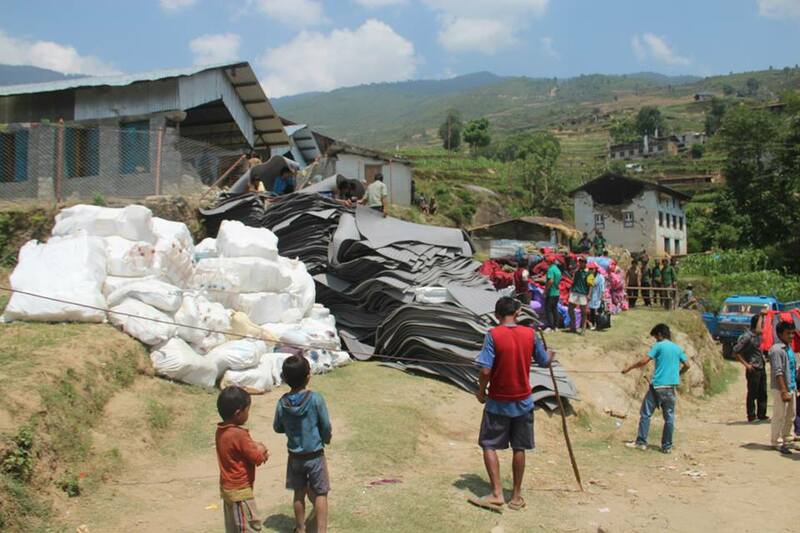 A TLC, as it has fondly become known, is a temporary building made of iron and sheeting which will serve as a classroom until schools have been reconstructed and made safe. You may have heard news of the Government of Nepal and the UN pushing to get schools running again and this is our contribution. We completely appreciate that not all of the schools will follow the same design and will depend somewhat on what if any structures are remaining but we are working through plans and schematics to ensure that we have tailored the TLCs appropriately. A large part of this involves getting support and buy-in from the villagers on the ground and their direct involvement in the construction work, an approach we have consistently adopted during our time in the region. We have already started construction of TLCs at Norbuling school and more will follow shortly – the aim is very much to help return a semblance of normality to children who have been so badly affected by the disaster. Our goal, and admittedly a lofty one at that, is to build 100 TLCs across the region, each of which cost around £650. On top of that, we will be helping to build 80 temporary toilets (2 toilets each for 40 schools) at a cost of £100 per block and a temporary shelter and teachers quarters at around £150 each. There are also plans for a meals programme for the students and this is vital to stop students moving to other regions or turning to work. A little bit of Tender Loving Care is needed for our new Temporary Learning Centres. And some of this will be funded by the kind donations with which we have already been provided by our amazing donors, the rest will come, we hope, from our further fundraising. Watch this space for more exciting developments as TLCs go up across the valley and get children back into education. In a few short years, it will be these students who will be off to college and then help provide support to their families in the villages. Capacity building at a primary level really works. We’ve seen its effects in the time we have been working in the region – primary school children we have nurtured are now leading our efforts – and we are confident it’ll have the same effect again. And the TLCs are just the beginning there is the third stage to come – building newer and better schools once the monsoon rains have come and gone.